Born in Haifa, Israel, Jehuda Reinharz immigrated to the United States as a teenager in 1961. He earned concurrent bachelor's degrees from Columbia University and the Jewish Theological Seminary, a master's degree in medieval Jewish history from Harvard University, and a doctorate in modern Jewish history from Brandeis University. Reinharz was a professor at the University of Michigan before becoming the Richard Koret Professor of Modern Jewish History at Brandeis in 1982. Two years later, he was named director of the Tauber Institute for the Study of European Jewry, and eight years later he founded the Jacob and Libby Goodman Institute for the Study of Zionism and Israel. From 1991 to 1994, he served as provost and senior vice president for academic affairs. In 1994, Reinharz was named the seventh president of Brandeis. During his nearly 17 years as president, he transformed the university through an unprecedented campus-wide expansion. He created 36 endowed faculty and staff positions, 29 new or renovated campus buildings, and 17 new research centers and institutes. During Reinharz’s presidency, the university raised $1.2 billion dollars and its endowment more than quadrupled. He is the author of more than 100 articles and author/coauthor of 25 books. He is also the recipient of numerous honorary degrees. 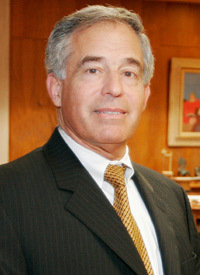 Reinharz returned to the Tauber Institute as director, and leads the Mandel Foundation as its president.